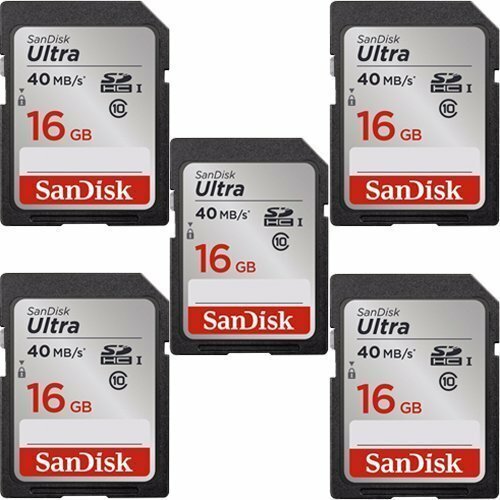 Capacity:16GB SanDisk 16GB Ultra Class 10 SDHC Upto 48MB/s (SDSDUN-0016G-G46) Capture Full HD Video (1080p) with Class 10 Performance The SanDisk Ultra SDHC UHS-I Memory Card is ideal for recording high-quality videos with a point-and-shoot digital camera or camcorder. The card's Class 10 rating means it can keep up with the demands of recording Full HD (1) video (1080p). Additionally, read speeds of up to 40 MB/s (3) minimize the time you'll spend waiting to transfer videos to your computer.